"To be a leading advisor in financial performance - delivering quality, innovative and client-focused solutions to the hospitality industry"
innovative and progressive organisation with a clear and focused vision for the future. 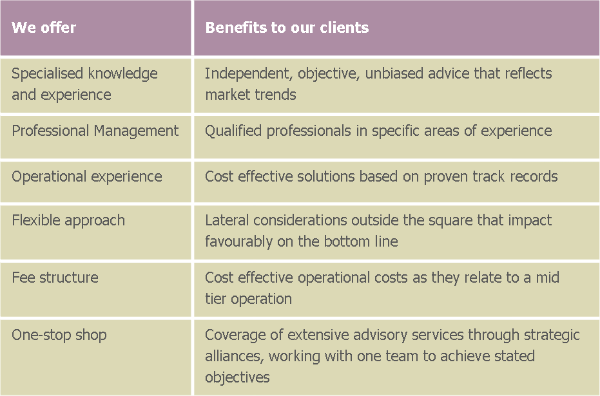 their commercial and business objectives. proven track record in sustainability of return on investment. to ensure the strategic objectives are met and measurable outcomes achieved. DBC (subj to DOCA) Members Info..
• provide independent and comprehensive advice.